If not here, where else will you be in December? One has plenty of reasons to visit Goa; after all it is one of the best tourist destinations in India. 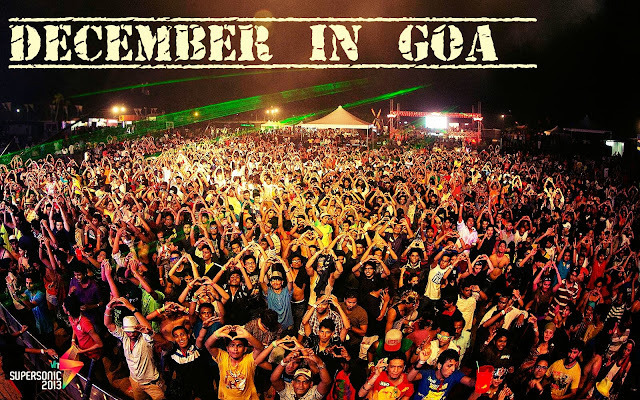 However, December provides many reasons for holidaying in Goa. The warmth and joy of Christmas amplifies when it is celebrated in Goa, well, India doesn’t know of a better destination that throws the biggest bash on New Year. It is no secret that today, going to Goa in december is on the bucket list of every traveler in India. Everyone wants to visit Goa such is the profound impact this small southern Indian state has had upon the psyche of the Indian travelers in the past decade. Goa is a beautiful place gifted with some of the most beautiful beaches in India, a pleasant climate, lots of greenery and the most chilled out people in the country. Goa is synonymous with fun and relaxation and there is no better time to visit Goa than the month of December. With the Goa temperature in December hovering around 20′C, Goa in December comes to life when most other parts of the country are freezing to death. Furthermore, the ever so lively music festival of Sunburn is evidently a delight, if you are an ardent EDM (Electric Dance Music) fan. Also, Goa in the month of December takes you back on the spiritual road as it observes the pious Feast of St. Francis Xavier, which is marked by several days of festivity and concludes with a large fair. All these celebrations allure tourists to book their tickets for Goa before its gets jam-packed. December is Christmas. 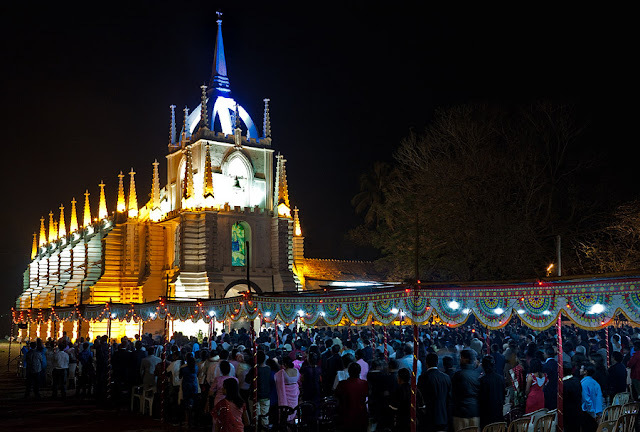 Being a Christian dominated area with historical churches and rich Christian tradition, to be in Goa during Christmas time is to be in some luck. The place is transformed into a dizzying state of festive fervour which engulfs everyone. 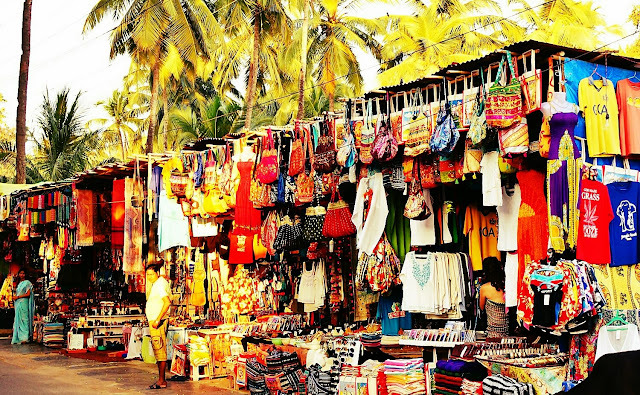 Old Goa is wonderful in Decemeber as you get mesmerised by the giant and beautifully decorated churches, the countless number of stalls selling homemade chocolates and cakes and the infectious atmosphere of general happiness and merry- making. Some famous churches to visit during Christmas time in Goa include Basilica of Bom Jesus, Se Cathedral, Church of Our Lady of Immaculate Conception and Church of St. Francis of Assisi. Celebrating Christmas is one of the highlights of holidaying in Goa in December.If you are visiting Goa in December during Christmas, then there are some super enthralling things in store. Goa looks dazzling during Christmas and the happy-go-lucky locals soak in complete festivity during Christmas. 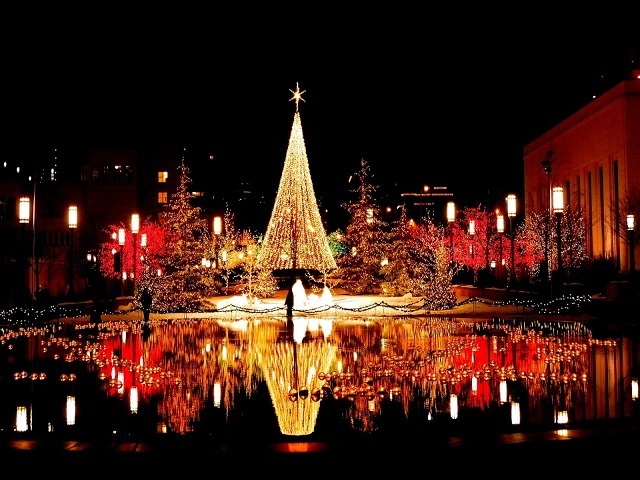 Streets and beaches are decorated with strings of lights, stars, ribbons, and life- size ornamented Christmas trees. 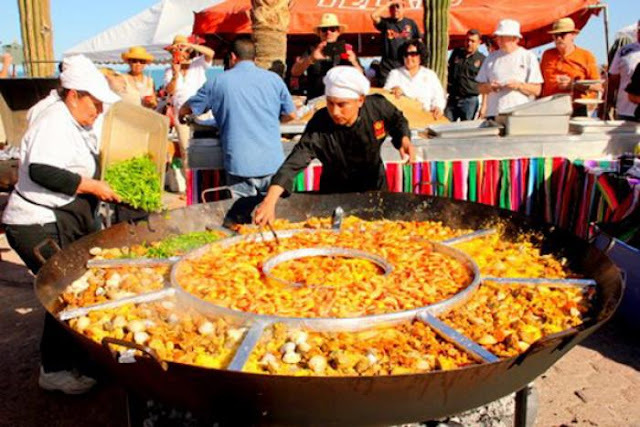 Key attractions: Midnight mass in any of the 400 churches of the state, cakes & puddings at bakeries, and sumptuous Christmas dinner with roasted turkey, pork sorpotel, assorted grilled seafood, & Bebinca. Post-Christmas in December, comes the week of incessant partying the likes of which is unmatched anywhere else in the country. 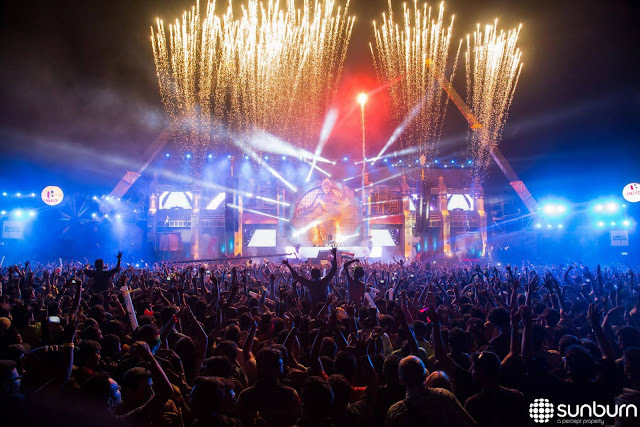 The merry-making which begins a week into Christmas is continued with hosting of Asia’s biggest dance and electronic music party – the Sunburn Festival. 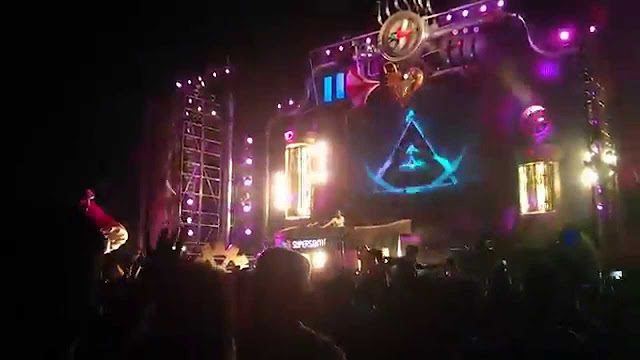 Sunburn festival has been organised in Goa in December every year for the past eight years and very successfully too.Goa which rocks to the tune of some of the worlds finest DJs and musician for three days in the last week December is a special place to be in with overflowing excitement and people from different parts of the world. Tickets for this years event can be booked from the website of Sunburn Goa, which can also provide you additional information regarding artists, schedule etc. This year Sunburn Festival is been organised at Vagator Beach from the 27th to 30th December and promises to be a party to remember. Casinos are functional all through the year. But the way they are abuzz during December is surely something! When you visit a casino in Goa in December, you will realise why it’s called the Las Vegas of India. 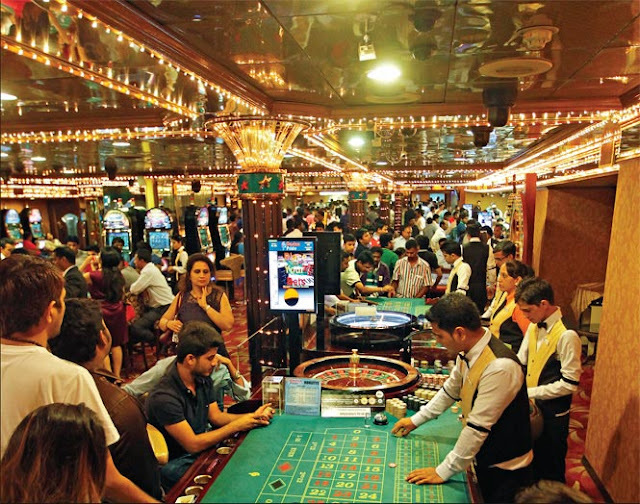 The casinos on huge boats & ships docked in River Mandovi are the best places to visit in Goa in December for those who would love to earn a little extra. These casinos receive the maximum crowd of local & international travelers in the month of December. The packages offered by most of the casinos include unlimited drinks & food till you play. Key attractions: Baccarat, Blackjack, Roulette, Texas Hold’em Poker, 3 Card Poker, 5 Card Poker, Mini Flush, Casino War, Pontoon, Money Wheel, Sic Bo, and slot machines. Most popular casinos: Casino Paradise, Casino Pride, Deltin Royale, and Deltin Jaqk. In the warm and soothing sunshine of December in Goa one of the best things to do is to take part in water sports such as windsurfing, scuba diving, dinghy sailing and many others at various beaches in Goa. 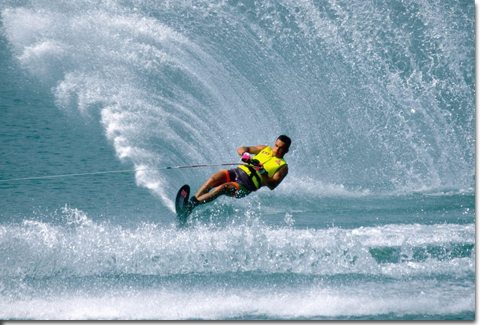 The best places to enjoy water sports in Goa in December are Dona Paula Bay, Candolim Beach and Cidade De Goa. There are many operators at these locations who provide you with basic training, equipment and a guide covering all safety procedures and guidelines. The activities are safe and above all thrilling and fun.Dona Paula Bay – Satiate your adrenaline rush with the water sports.For those who are visiting Goa in December, water sports in the relaxing weather of December in Goa is to die for. Dona Paula Bay is known for offering the best happening adventure sports here. The activities are safe & well-guided and inculcate exuberance. Be a brave heart and try all of them for it’s worth an experience.Cidade De Goa – Go gaga over these thrilling water sportsCidade de Goa is a swanky 5-star resort, nestled on the sprawling Vainguinim beachof Goa. 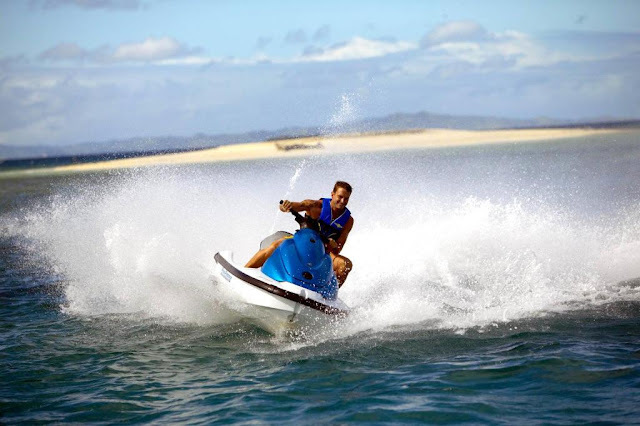 One of the most sizzling places to visit in Goa in December, this place offers a wide range of water sports. And you needn’t be staying there for these water sports. All you need to ensure is that you book in advance.While a major part of India is suffering from chilly winters, the sun offers a warmer escape to you here. Partaking in water sports is one of the best things to do in Goa in December. 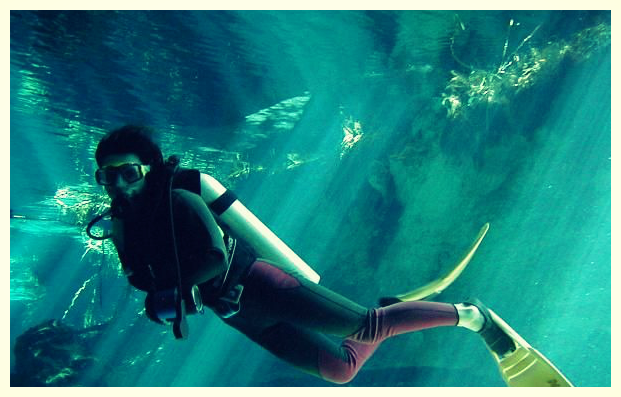 Scuba diving, swimming, dingy sailing, banana rides,para-sailing, windsurfing, jet skiing, kayaking and river rafting are some of the adventure sports in Goa. The best spots to enjoy water sports in Goainclude Cidade De Goa, Calangute beach,Baga beach, Candolim beach, Dona Paula Bay along with others. There is no need for you to worry about the safety. There are innumerable operators at all these locations providing you the necessary basic knowledge, training, equipment, and conduct all the activities with complete safety measures and as per the guidelines. 5.Goa in December for Scintillating Seafood A visit to Goa in December is incomplete without being mesmerised by its scintillating buffet of seafood. The coastal state is a heaven for seafood lovers who can gorge on some delicious dishes made with the most special of recipes at any corner of Goa. Sea-food in Goa is a staple, need we say more about its love affair with it. For those who like it served well and in a great setting Simply Fish, Boom Shankar and Viva Goa are great restaurants to explore but for those who can’t burn a hole in their pocket can get equally delicious seafood at the many shacks on the beaches of Goa. Some great options of seafood to look out for are Kingfish, Pomfret, Shark, Tuna, squids, Crabs and Mackerel. Plonk yourself at a beach shack and savor these delicacies in the beautiful weather in Goa in December.Seafood is the speciality of Goa. All most all the restaurant, beach shacks and eating joints, whether big or small, sell orgasmic seafood. Goa visit in December is unfinished if you do not taste the exotic delicacies of Goan cuisine. Seafood is one of the main parts of the daily food of the locals of Goa and if you love seafood, you must it here. The variety of seafood in Goa is endless and includes Mackerel, Crabs, Kingfish, Tuna, Pomfret, Squids and more. 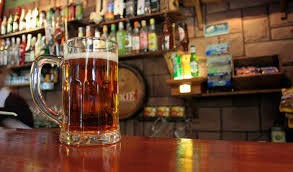 To accompany your meal would be free-flowing booze. Enjoy the amazing weather and gorge on the lip-smacking spicy freshest of catches. If you are looking for an ideal way to usher- in the New Year, you should be not anywhere else but in Goa as the party fever here is just infectious. This tiniest beach state of India is known for being the venue for some of the best New Year’s Eve parties, attended by huge number of national as well as international tourists. 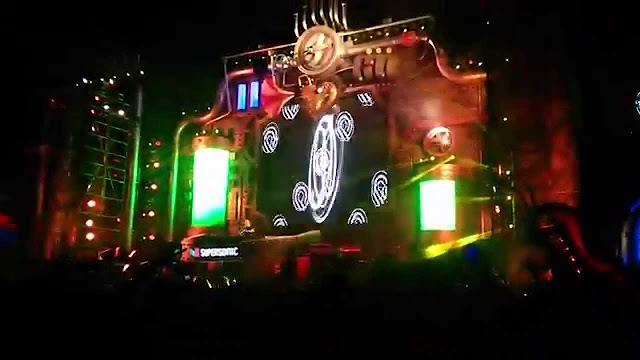 The night life of Goa is fabulous and the event of New Year makes the discos and nightclubs throw the best of parties. Parties during this time of the year are not only given in the discotheques of Goa but there are numerous beach parties too that are organised at some of the best Goan beaches like Anjuna, Palolem, Vagator and Baga. You can enjoy beach-hopping if you like. Silent Noise Parties in Goa are also gaining momentum slowly. 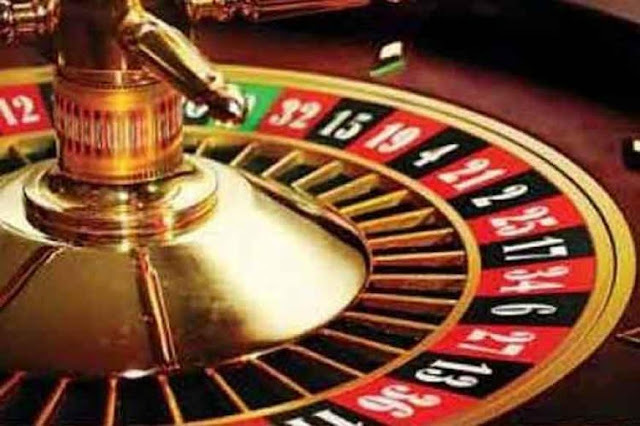 Another venue to enjoy parties in Goa in December are the casinos of Goa, stationed on River Mandovi in Panjim, the capital city. 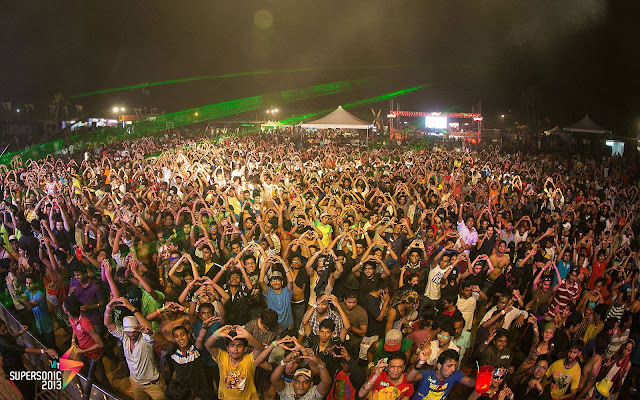 Goa is the paradise for party lovers, even more so in the winter months. Who wouldn’t like to let their hair down to trance music under the clear skies and white sand tickling the toes? Fireworks and celebrations are endless during New Year’s and the night just doesn't end! Calangute Beach & Arpora have the best clubs and shacks. 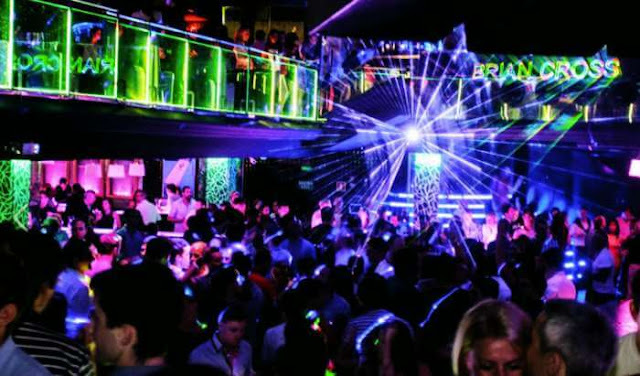 All these places offer the most happening party scenes in Goa with great music, delectable food, cool crowd dancing to the electrifying beats, and amazing jamming sessions. Key attractions: EDM gigs, beachside barbecue & bonfire (on prior requests), and free booze hours. ornithologists, and those who are looking for little respite from back-to-back parties. Goa is well connected by road from almost all states of India . Goa by railways. Via railways, it is quite easy to reach Goa as the major railway stations in Goa are located in Margao. The main railway station is known as Madgaon and Vasco-da-gama. These railway stations are well linked with Mumbai and then other major parts of the country as well. Goa is vibrant in the month of December. It enthralls the visitors with its unique beauty. Almost all people in India dream of visiting this place one day. If we talk about the vacation, the name of Goa comes at the first place. Especially the youth of this country are very much eager to be in this beautiful place almost once in a year. Frankly saying, from the last four years I am planning to visit Goa with my friends and have a great day there, but till today the plan couldn't be successful. This year, we are confident of going there and have a memorable day. Amazing list of places in Goa best especially for the youth generation. 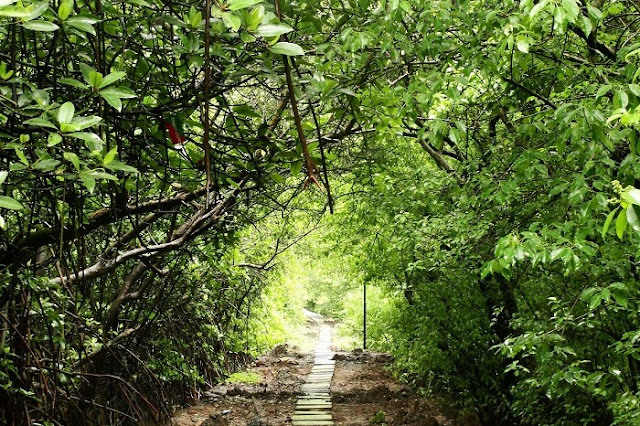 I would like to visit the Chorao Island – Salim Ali Bird Sanctuary. Same Day Agra Tour by Train is most famous tour package in North india. you can visit Agra city historical monuments by this tour. Thanks for sharing your personal experience. local taxi service in agra best option to enjoy one day in agra city, you can book cabs in budget prize to enjoy agra city tour. Thank you so much for sharing this post and experiences. Loved your post! you shared awesome place to visit there and lovely pics you captured..